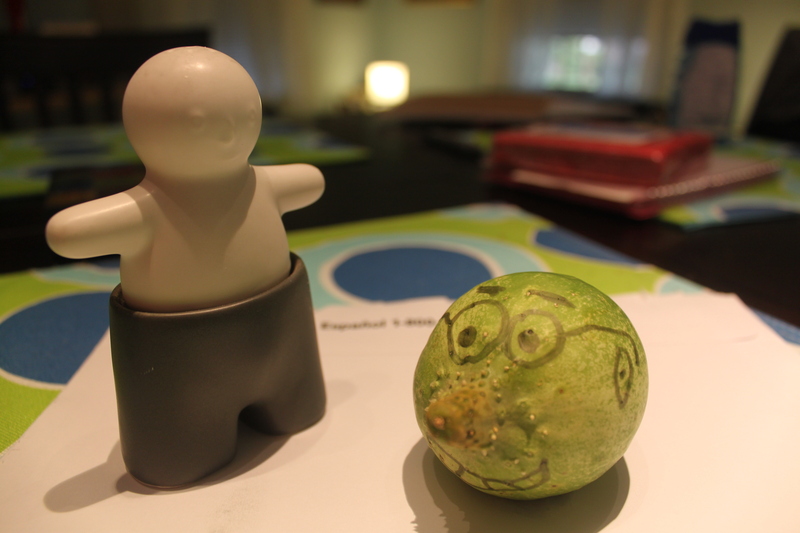 Salt&Pants meets Luke the Cuke. Poor Luke is the homeliest cucumber I have ever seen. Thursday’s haul was huge. We even got corn! This entry was posted in CSA, Luke the Cuke and tagged CSA, cucumber, ugly vegetables on July 29, 2011 by neepandtattie. I love this! Is Chris 3 years old, or 33 years old? Anyway, it’s always good to have “fun with food!” What a cute cucumber! Chris we told you not to play with your food!